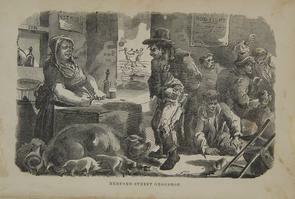 Drawing of interior of grogshop. Female barmaid behind bar, male customers at bar. Pigs lying at foot of bar.